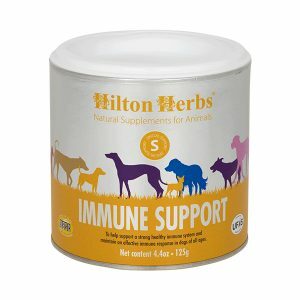 Hilton Herbs Canine Tranquility Gold – A natural blend to help support a healthy nervous system in dogs of all ages. 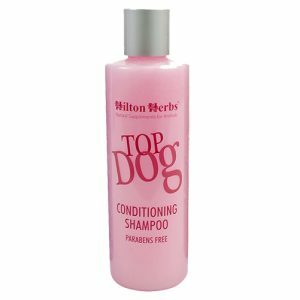 Hilton Herbs Canine Tranquility Gold has been found to be particularly helpful when dealing with rescue dogs. The concentrated liquid herbal supplement when quick absorption is required. Anxiety, stress, nervousness or uncharacteristic behaviour can be due to physical or mental problems. 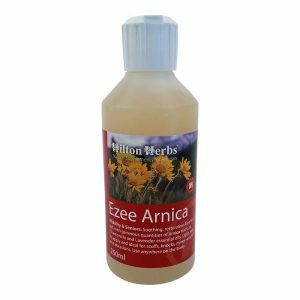 Hilton Herbs Canine Tranquility Gold is a tried and tested herbal calmer that will not dope or sedate your dog, but will help maintain a healthy and balanced nervous system and a calm outlook. 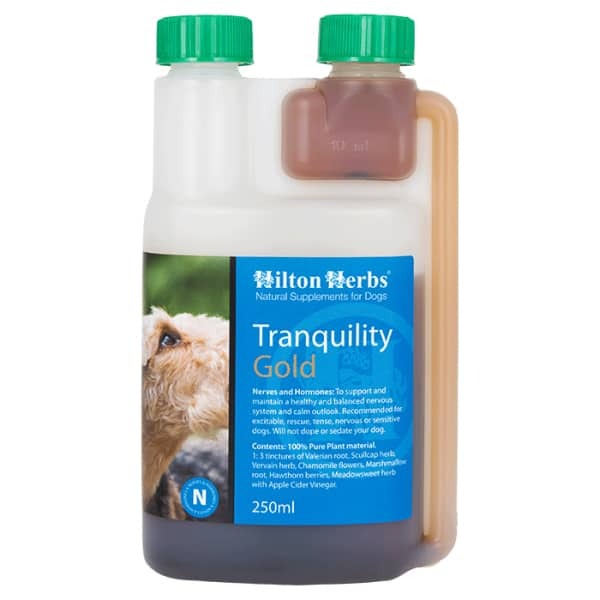 Hilton Herbs Canine Tranquility Gold is ideal for training, changes in routine, if travelling, for over exciteable dogs, rescue animals that may have received bad treatment or simply for tense, nervous sensitive dogs. 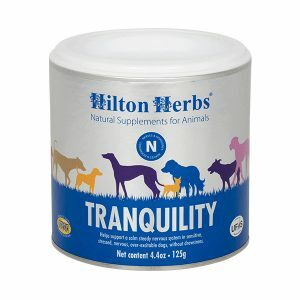 Hilton Herbs Canine Tranquility Gold Contains; Valerian root, Lemon Balm herb, Scullcap herb, Chamomile flowers, Hawthorn tops, Marshmallow root. with Honey/Apple Cider Vinegar.